Performance Balance Management Inc. ("PBM") offers value-for-money concept by delivering a knowledgeable and well-experienced resource that can be contracted for specific assignments, rather than the more traditional approach of full-time staff. Once completed there are no on-going obligations that exist with us. 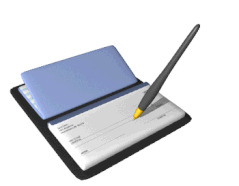 We only charge client pre-agreed Consulting Fee or Service Fee. Please see our "Payment Information" for more details. Consulting Fees or Service Fee are able to be flexibly structured depending on the size of the project, the location, expediency and the client’s budgets. With the seasoned ability to travel at short notice to many destinations without fuss, projects are commenced easily and objectively. We believe that our fee is to provide clients with significant benefits that considerably out-weight any fees. Regular Rates: Normally. it is charged by hourly, daily or weekly. Our rates are very competitive and in some cases can be less than half of certain brand name consulting firms. Actually, we consider our services are top-notch. Fixed Fee: For some cases, we are open to fixed fee arrangements for a specific deliverable when appropriate. In such case, costs for a specific deliverable are certain and we take the risk of any overruns. Fixed Percentage Charge Ratio: For Asian Buyer Connection, we adopt fixed percentage charge ratio or a transaction deliverable when appropriate. In certain case, a retainer fee may be applied to. Please see Idea of Business Broker Commission as your reference. Pre-Set Budget: We are open to bundle Pre-Set Budget and not to exceed such arrangement for a specific deliverable. Under this arrangement we agree on a specific consulting fee or service fee for a set of deliverable and implement a fee cap. In many cases, we can deliver below the Budget. Under this model your fees are always less than or equal to the negotiated Budget. We take the risk of any overruns. Cost related expenses (as agreed) are invoiced separately. If you have any concern about our Fee, please email us at info@pbmcanada.com to consult.